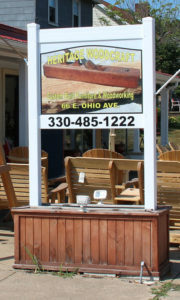 We are in Rittman, Ohio and specialize in creating custom-made furniture for every room in your house. Looking for that unique piece of furniture to fit a desired space or match a particular color? 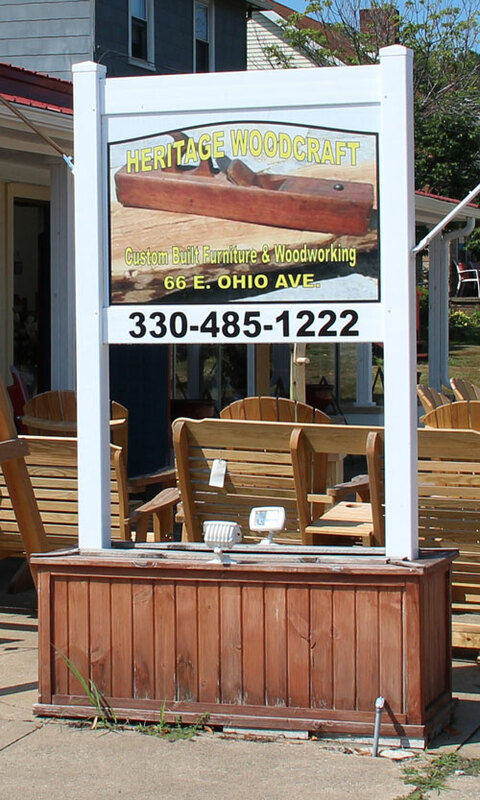 Bring your ideas to Heritage Woodcraft, and craftsman Denny Howell will work with you to design an heirloom to meet your specifications. Where you can choose from previously designed furnishings or have us create a one-of-a-kind piece to personally fit your needs. Dinette sets, bedroom suites, hutches, gun cabinets, occasional tables, bookcases, kitchen stands, entertainment centers, hall seats, and toy chests are only a few of the items custom created at Heritage Woodcraft. While most of our furniture is made with oak, maple, and poplar, many other wood species are available and we’ll be happy to fulfill special requests. Choose from ten different colors of stain or paint to finish your special piece. In addition to our custom made furniture, we also carry solid wood chairs, bar stools, hickory rockers, and outdoor furniture in both wood and poly.